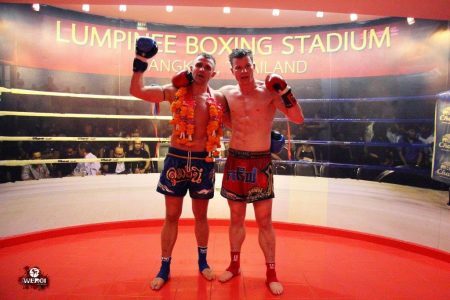 Win at New Lumpinee Boxing Stadium! On the seventh of February 2015 at the New Lumpinee Stadium in Bangkok there was a second fight between Paweł Jędrzejczyk and Garethem Nellies. Paweł successfully repaid his opponent and won the unanimous decision of the judges. He is the first Pole who won the fight at the New Lumpinee Stadium.